Kripalu presenter Kristi Nelson has experienced this truth firsthand. A nearly 25-year survivor of Stage IV cancer, Kristi has put gratefulness at the center of her life and work. 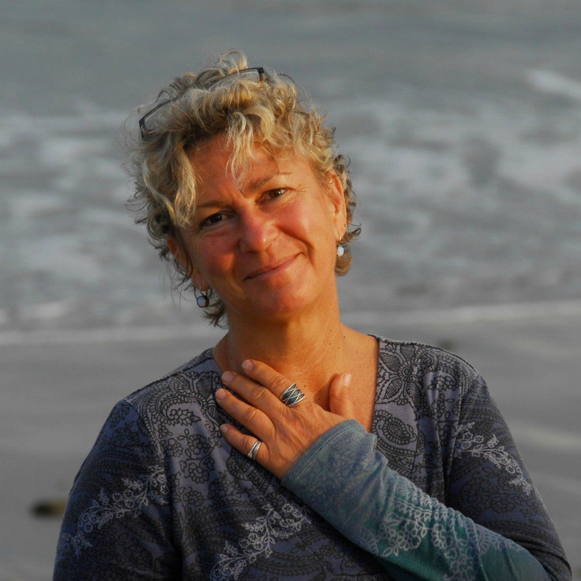 The executive director of A Network for Grateful Living, founded by Brother David almost 20 years ago, Kristi is a passionate advocate for integrating gratitude as a practice into our everyday lives. Kristi shared her reflections about how cultivating gratitude can transform the way we see ourselves, our relationships, and the world. Here are 10 true things about gratefulness. 1. Gratefulness is not circumstantial or conditional. 2. We can practice being grateful for what we take for granted. But, in a surprisingly short time, that feeling can go away and we default to our baseline expectations, assumptions, and even entitlement. A daily practice of gratitude, Kristi says, is the key to appreciating all the things we tend to take for granted. “The core practice of gratefulness is to truly notice, to be present to the gifts of our lives from the moment we wake up in the morning until the moment we go to bed at night,” she says. Kristi suggests this practice as a reminder of all that we have at every moment: “When you wake up in the morning, before you even get out of bed, pause to think of five things you’re grateful for. It could be: My lungs are breathing. The air temperature is comfortable. I had an interesting dream. My eyes can open. I get to put my feet on the floor and walk out of the room. There are people I love. I’m still here. You’re calling forth those things that you don’t have to do anything to earn, and that remind you that this day is a gift.” In this way, she says, we remind ourselves that gratefulness is an internal approach to life that we can cultivate and reference at any time; we’re not waiting for anything to happen. 3. There is always something to be grateful for, even in the midst of fear and pain. After her cancer diagnosis at age 33, Kristi underwent multiple surgeries, chemo, and radiation. “I faced my mortality pretty squarely,” she says. Yet, even in this most challenging period of her life, she looked for opportunities to cultivate gratefulness. Gratefulness is perhaps the most un-ironic feeling we can have, and that can lay us bare in a way that many people may find uncomfortable. 5. Expressing gratefulness can change your relationships. Gratefulness has the potential to transform your intimate relationships with a partner, friends, or family members, and can shift a casual or even a difficult relationship with a colleague or acquaintance. 6. Gratefulness can drive social action. Gratefulness not only changes your life, but also extends beyond your intimate sphere. It gives rise to compassion, kindness, forgiveness, and empathy, and thus informs how we treat others and how we act in the larger world. Gratefulness makes us better citizens, according to Kristi—more concerned about the well-being of others and the planet. 7. We can reframe our everyday lives toward gratefulness. #Gratitude has become ubiquitous on social media—an excuse to humblebrag about your island vacation, your amazing kid, or your fabulous new job. Such posts may express genuine gratefulness, Kristi says, but the deeper, rawer moments often come in between the status updates. 9. Gratefulness doesn’t mean being okay with what’s not working. Practicing gratefulness isn’t about forcing ourselves to accept the things in our lives that we know aren’t good for us. Rather, it awakens us to the possibilities for positive change. 10. Practicing gratefulness now means having fewer regrets later. © Kripalu Center for Yoga & Health. All rights reserved. Posted here with permission. To request permission to reprint, please e-mail editor@kripalu.org.